We (my wife mostly) watch our grand-babies, Andy – 2yrs. old and Jadyn – 1 yr. old, at least three times a week while their mother works. With myy daughter being a single a mom, we are glad to help out as the costs of daycare can be enormous. 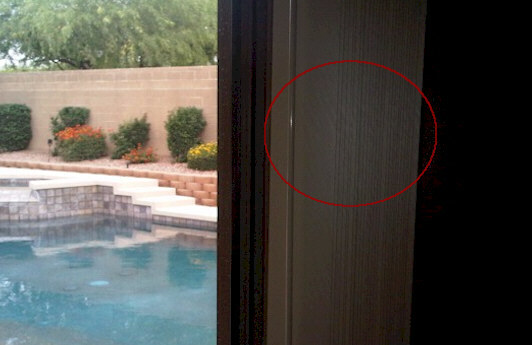 Of course there are the normal things most people do when they have toddlers running around – safety locks on cabinets, safety latches on doors leading to pools, and the like. In our case, we not only have these but many other pre-cautions in place, mostly for our grandson who is quite adventurous to say the least. While we do have one bedroom in the house dedicated as a “playroom,” the grand-kids spend most of their time in our great room which consists of a family room, kitchen, large pantry and eating area. 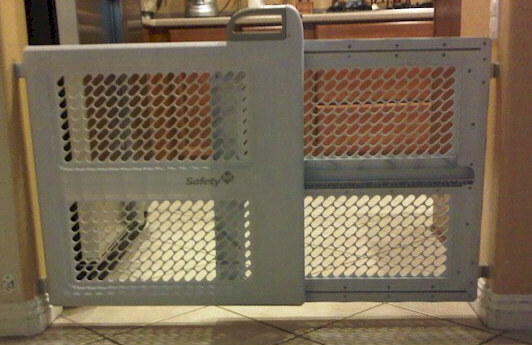 The following are safety measures we have put in place in order to make this area safe for our little ones. 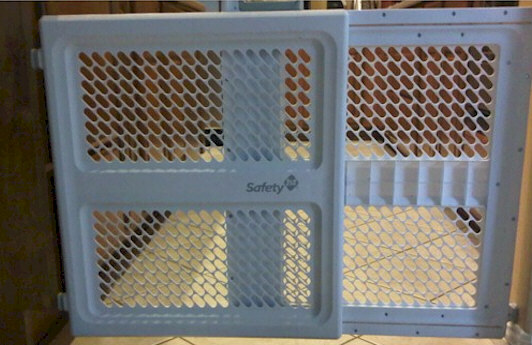 One of two removable gates to keep babies out of dangerous kitchen where there are knives, hot stoves and other off-limit things including playing hide-and-seek in cabinets. 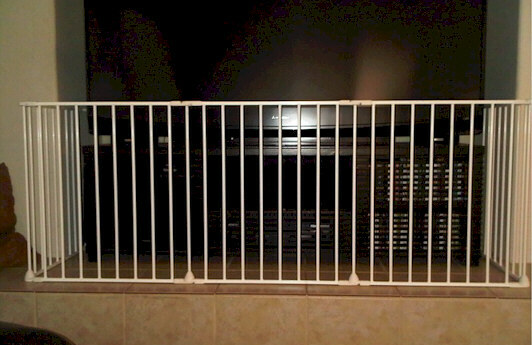 Here is gate number two, restricting baby access to kitchen. 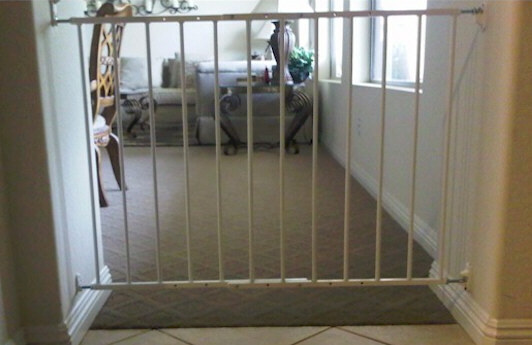 This gate, which is permanently bolted to wall, keeps babies out of formal dining/living room. 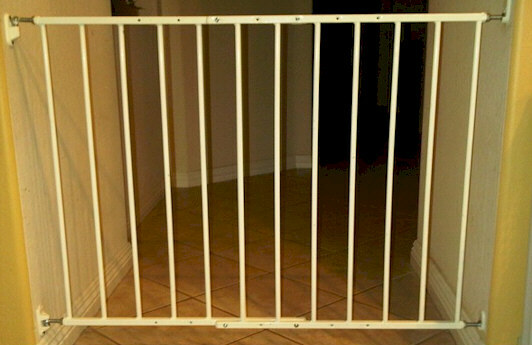 Another permanent gate to keep them from hallways leading to bedrooms and front door. Without a lock on this pantry (hanging skewer used to unlock), babies would get into a lot of mischief such as emptying out entire 5 gallon water jug from water dispenser. No picture is not upside down. 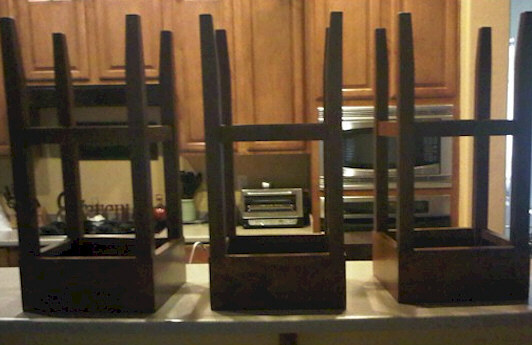 If bar stools were not placed on counter like this, babies would climb up on counter and then dive off. Seriously, they would! By opening vertical blinds all they way, keeps babies from pulling them out. believe, I have already replaced half of them and reinforced top slots with steel brackets. 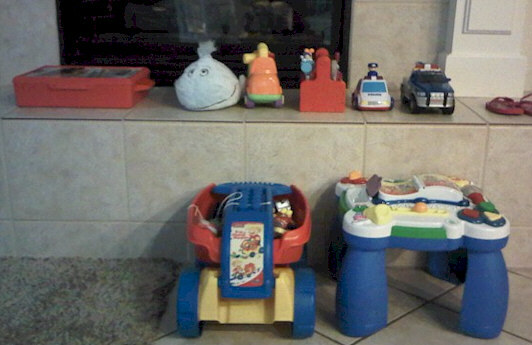 Finally, a safe place has to be fun as well so every time the grandkids come over, we pull out a selection of toys that they can play with. Here they are all neat and tidy just prior to them being strewn out all over the place. There you go. Add to all this preparation the fact that we have to constantly keep an eye on them to make sure they are staying safe. It is not really about “restricting” their freedom and creativity but rather providing a safe environment where they can explore their freedom and creativity. What about you, the reader? What kinds of steps have you taken, crazy or not, to ensure your little ones are safe in your home? Let us all know in the comments section of this post.